Comp and Save features February deals you can take advantage of until the end of this month, 2/29. Let’s get the ball rolling! Read on below and find out how much you can save on various promos. You get 10%, 15%, and 20% off plus free shipping too. It’s 10% off any order with the coupon code CAS10. It’s 15% off on all orders of over $50 with the code CAS15. It’s 20% off on orders of over $100 with the code CAS20. Make sure to enter the codes upon checkout to take advantage of the discounts. Plus, it’s free shipping for all orders of over $50. No codes needed. All deals are valid until 2/29. Click on the embedded links above to know more about the discounts. Get 10% off your purchase of the Pro Plus All Theme package from StudioPress. 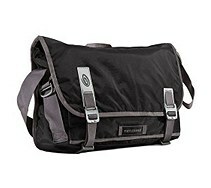 Just use the promo code TEN to avail of your 10% discount from the current price offering of $299.95. This deal will have you save as much $800 worth of themes. All 44 themes from StudioPress will be included in the package. Plus, you are entitled for all future themes to be designed for free. You save for the past, the present, and the future too. It’s technically unlimited everything. Click here to begin your purchase of the StudioPress Pro Plus All Theme Package. Get the Belkin F5D9231-4 Wireless-G+ router for only $19.99 from CowBoom. Boom! That’s a 67% discount from the original price of $59.99. Click here for more details or to buy this product. This Belkin wireless router is brand new and features 4 ports to accommodate up to four computers connecting hardwired. It can also support wireless connectivity for an unlimited number of devices. The wireless G+ functionality enables connection speed of up to 108 Mbps – perfect for gaming, video streaming, uploading, downloading, and other high speed connection activities. Here’s the last of our HP deals series – it’s the 30 and 30 deals. Save 30% off on docking solutions and accessory bundles. Click here to start making a purchase. Find docking stations, notebook stands, display stand, USB port replicator, and so much more. 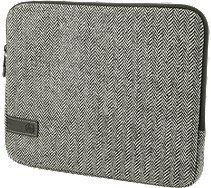 You can also start bundling various computer accessory products including any of the aforementioned products as well as other items such as wireless keyboard or mouse, audio speaker & subwoofer, monitor, the so-called student comfort bundle or the peace of mind bundle, printer bundle, music bundle dubbed as ‘envy’ bundle, and so much more. Click here to check out all the items offered. Businesses of all sizes should not miss this deal. Save on HP Microservers for all your business solution needs. Purchase the HP ProLiant Microserver and other selected microserver products at the HP Home & Office store and receive a $100 mail-in rebate. 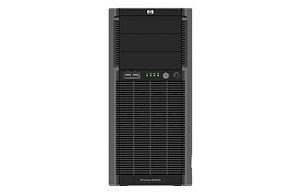 The mail-in rebate value becomes double ($200) when you purchase the HP ProLiant ML150 Microserver. Plus, it’s free standard shipping when you buy most other servers available online, like the HP ProLiant ML 110 G7. 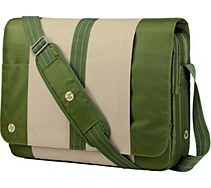 Pair up your HP laptops with carrying cases. Buy online and save as much as 60% too. 99 items are currently offered for this deal. You can start browsing through available items when you click here. 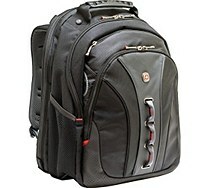 Find various carrying bags including messenger, tote, backpacks, top loads, sleeve, slim case, roller, and full case. 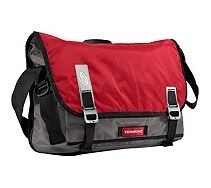 Choose from popular brands including Allant, HP, SwissGear, Targus, Timbuk2, and WIB. Buy cases based on price and display size. Start checking out all 99 cases through this page. Take advantage of all other deals from HP this week too (see previous posts). Here’s another HP deal – save on inks and toners. Save up to 40% on XL and single inks. Save instantly too when you order over $50. Just use the promo code INKDEAL20 upon checkout to avail of the instant savings. It’s free FedEx delivery for the next business day when you order online too. This applies to inks, toners, and papers as well. With HP products, you can save on paper and ink. Expect efficient and effective products for all your printing needs. For more information on the ink and toner deal or to start making a purchase, click here. Aside from laptops and desktop computers, you can also save on HP printers this month. Save $50 or $75 instantly on the HP LaserJet P2055dn and get a $50 gift card too or save 50% off the HP Photosmart Premium e-All-in-One C310A printer. Free standard shipping is also available for every printer purchase. The HP LaserJet P2055dn brings you prints that are clear and sharp, reliable and easy to install cartridges, and safe and secure data storage for a more productive and efficient home and printer. The HP Photosmart Premium e-All-in-One C310A printer on the other hand prints excellent remote pages for web and remote printing.